On June 27, 2018, The International Monetary Fund's Executive Board headed by Tao Zhang, Acting Chair, and Deputy Managing Director completed the 4th review of Mongolia's performance under the program supported by a three-year extended arrangement under the Extended Fund Facility (EFF). It was approved on May 24, 2017, in an amount equivalent to SDR 314.5054 million, or about US$ 434.3 million at the time of approval of the arrangement to help its economy avoid collapse during the crisis. This year as on date, there had been two "staff-level agreement" meetings with the Mongolian authorities, led by Geoff Gottlieb, senior economist in the IMF's Asia and Pacific Department and two "executive board review meetings - the 3rd and 4th" led by Mitsuhiro Furusawa, Acting Chair and Deputy Managing Director of IMF and Tao Zhang, Acting Chair and Deputy Managing Director of IMF, respectively. 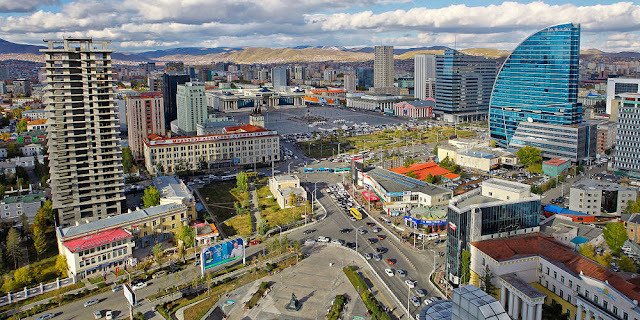 "Mongolia is making good progress under the Fund-supported program. Helped by a favorable external environment and strong program implementation, growth has picked up and there has been a considerable improvement in fiscal substantiality, debt dynamics, and external buffers." After the IMF's satisfactory 4th review, the country is now allowed to draw the equivalent of SDR 26.2088 million (about US$ 36.91 million), bringing total disbursements under the arrangement to SDR 131.0366 million (about US$ 184.55 million). Earlier in March 2018, after the completion of the 3rd review under Mitsuhiro Furusawa, enabled Mongolia to draw the equivalent of SDR 20.9598 million (about US$ 30.55 million), brought the total disbursements under the arrangement to SDR 104.8278 million (about US$ 152.79 million) at that time. This year as on date, the country has received SDR 47.1686 (about US$ 67.46 million) as disbursements in total from IMF. Mongolia’s performance under the program remains strong because of the combination of strong policy implementation and a supportive external environment, which has helped the authorities over-perform on all end-March 2018 quantitative targets. Progress has also been made on structural reforms, albeit with some delays. The Mongolian government’s Economic Recovery Program, supported by the IMF, aims to stabilize the economy, reduce the fiscal deficit and debt, rebuild foreign exchange reserves, introduce measures to mitigate the boom-bust cycle and promote sustainable and inclusive growth.